We love to holiday at Hawks Nest and frequently see dolphins in the surf off Bennett’s Beach, in the Myall River and in the bay at Jimmy’s Beach. Did you know that this area, Port Stephens, is home to 120 bottlenose dolphins, one of the largest pods in the world? Imagine all the wonderful classroom discussions with your students about these maths facts.What else can your students discover? Encourage your students to work in pairs to create a mathematical challenge based on these facts. Blockages to maths understanding are everywhere. Your role as a teacher is not to teach but to unblock as many students each day as you can. Blockages underpin so-called abilities. Your so-called low ability student is one who has multiple blockages. If you can remove these then your student is better able to understand. Remember it is vital to talk about what something ISN’T as much as about what it is. I just saw this ABC online video clip about Quarters. Everything there was fine. 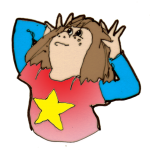 Cute female child’s voice over, clear graphics. All good. BUT … the biggest problem your students have in fractions is understanding far more than that, far more than just one explanation. What is NOT a quarter, what is NOT an equal part? What happens if there are only 3 equal parts? 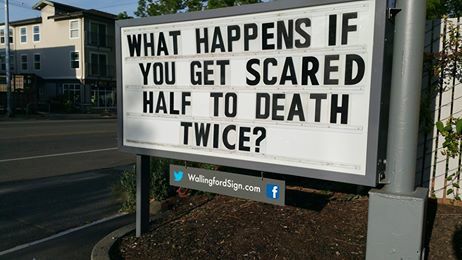 What happens if there are now five equal parts? Talking about “positive” things is only part of the solution. Talking about ‘negative’ things is also a vital component. This video clip will be a fantastic starting point for a discussion with your class. Try to generate as many alternative questions that need answering. Get your students to explain to a partner what is and is not a quarter. Get them to draw pictures of what they think represents quarters and non-quarters. 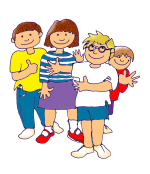 Try to spot misunderstandings that can then be shared with the whole class. For more targeted fraction activities click here. For more targeted fraction photographs click here. For more targeted fraction graphics click here. The annual NAPLAN tests are supposed to assist governments and schools to gauge whether students are meeting key educational outcomes. These results are supposed to help identify strengths or address areas that need to be improved. 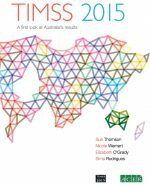 Each year for the last 15 years I have been involved with a select group of colleagues in analysing the NSW Year 3 and Year 5 NAPLAN Numeracy results – initially in my role as Numeracy Project Officer for the Archdiocese of Sydney and lately in my role as Director, Maths Matters. When we look at the NSW NAPLAN Numeracy results for Year 5, we double check every question for the exact curriculum outcome it matches in the NSW Syllabus. Often we find our decisions differ from the official ones which means we have a different proportion of Stage 1, 2 or 3 content outcomes in our summary. Each year we find that there are insufficient Stage below questions in both the Year 3 and Year 5 papers. We are puzzled by this. For example, in Year 3 we would expect more questions to relate to Stage 1 content. And in Year 5 we would expect more questions to relate to Stage 1 and 2 content. Surely governments want to check that most students have achieved the key Stage below content outcomes. We next examine each Stage below question and determine if it is one which we expect 80% or more Year 5 students to correctly answer. We call these Core Stage questions. Another name could be “key content outcome”. Notice our 80% cut off still allows for one in five students who might be unable to answer correctly. They may be working at an even earlier stage perhaps. These Core Stage below questions focus on the key outcomes we expect students to have understood and also should be able to demonstrate by answering these questions correctly. If there are fewer students answering these Stage below questions correctly, they alert us to blockages that hinder student understanding. When we analyse the percentage selecting an incorrect answer, we are able to see common error patterns in student thinking. These then assist teachers to focus on specific key content outcomes. Teachers will clearly identify student blockages. The ideal result would be that all Core Stage below questions have 80% or more students answering correctly. Some questions in this Year 5 paper might be Stage below, but they can include twists that we do not expect 80% or more students to answer correctly. We call these Advanced questions. All this information is then put into a one-page grid. At first you will find the grid a little disorienting due to its unfamiliarity. We put the question number on the left and its matching result on the right. Questions are colour-coded for easy reference so you can see which Stage it is and also if it is a Core or an Advanced question. Question numbers that are underlined mean that question is an open one, not a multiple choice. Questions with an asterisk (*), mean that it is repeated somewhere in the Year 3 paper. On the matching square on the right, we record the percentage of students who answered correctly. If this result has a green background then 80% or more Year 5 students in NSW schools answered this correctly. If the number is bold red, that means that it was a Core Stage below question that 80% or more Year 5 students did not answer correctly. If this result has a yellow background, that means that fewer than 50% of Year 5 students answered this question correctly. For example, Question 5 on the left is coloured pink which means it is a Core Stage 2 question. The matching space on the right shows that 90% of Year 5 students answered correctly. Question 24 on the left is coded purple and the number is underlined. This means it is an Advanced Stage 2 question that is repeated somewhere in the Year 3 paper. The third matching space on the right shows that 48% of students answered Question 24 correctly. It is coloured yellow as this result is less than 50%. We then include a second page summary. This shows each of the open questions (free response) and the results. We also show each of the repeat questions and the results for both Year 3 and Year 5. We then show an overall summary which enables us to make big picture statements about how Year 5 students in NSW are tracking. Based on this summary we then provide detailed feedback on relevant questions. Your class or your school may be above, at or below these statistics. But what we look at is the biggest picture we can – the total number of Year 5 students in NSW who sat for that test. We show you the major trends in student misunderstanding. These statements help you identify where students need more support. To see our complete summary for the 2017 Year 5 Numeracy paper, click here. It is in the column marked Term 3/4. When we look at the NSW NAPLAN Numeracy results for Year 3, we double check every question for the exact curriculum outcome it matches in the NSW Syllabus. Often we find our decisions differ from the official ones which means we have a different proportion of Stage 1, 2 or 3 content outcomes in our summary. Each year we find that there are insufficient Stage below questions in both the Year 3 and Year 5 papers. We are puzzled by this. For example, in Year 3 we would expect more questions to relate to Stage 1 content. And in Year 5 we would expect more questions to relate to Stage 1 and 2 content. Surely governments want to check that most students have achieved the key Stage below content outcomes. We next examine each Stage below question and determine if it is one which we expect 80% or more students to correctly answer. We call these Core Stage questions. Another name could be “key content outcome”. Notice our 80% cut off still allows for one in five students who might be unable to answer correctly. They may be working at an even earlier stage perhaps. These Core Stage below questions focus on the key outcomes we expect students to have understood and also should be able to demonstrate by answering these questions correctly. If there are fewer students answering these Stage below questions correctly, they alert us to blockages that hinder student understanding. When we analyse the percentage selecting an incorrect answer, we are able to see common error patterns in student thinking. These then assist teachers to focus on specific key content outcomes. Teachers will clearly identify student blockages. The ideal result would be that all Core Stage below questions have 80% or more students answering correctly. Some questions in this Year 3 paper might be Stage below, but they can include twists that we do not expect 80% or more students to answer correctly. We call these Advanced questions. All this information is then put into a one-page grid. At first you will find the grid a little disorienting due to its unfamiliarity. We put the question number on the left and its matching result on the right. Questions are colour-coded for easy reference so you can see which Stage it is and also if it is a Core or an Advanced question. 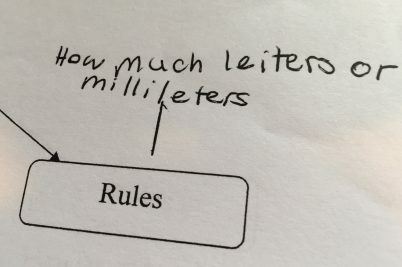 Question numbers that are underlined mean that question is an open one, not a multiple choice. Questions with an asterisk (*), mean that it is repeated somewhere in the Year 5 paper. If this result has a green background then 80% or more students in NSW schools answered this correctly. If the number is bold red, that means that it was a Core Stage below question that did not get 80% or more students correct. If this result has a yellow background, that means that fewer than 50% of students answered this question correctly. For example, Question 11 on the left is coded olive green and the number is underlined. This means it is an Advanced Stage 1 question that is repeated somewhere in the Year 5 paper. The third matching space on the right shows that 67% of students answered Question 11 correctly. Question 15 on the left is coded lime green. This means it is a core Stage 1 question. We expect 80% or more students to answer correctly. If you look at the matching square on the right, you see that only 59% of students answered Question 15 correctly. This alerts us to pay attention to the incorrect responses to see what blockages may be revealed. As Question 15 is also underlined, this means it is repeated somewhere in the Year 5 paper. We then show an overall summary which enables us to make big picture statements about how Year 3 students in NSW are tracking. Based on this summary we then provide detailed feedback on relevant questions. Your class or your school may be above, at or below these statistics. But what we look at is the biggest picture we can – the total number of Year 3 students in NSW who sat for that test. We show you the major trends in student misunderstanding. These statements help you identify where students need more support. To see our complete summary for the 2017 Year 3 Numeracy paper, click here. It is in the column marked Term 3/4. Symmetry is not always an easy thing to explain to our students. Yet every human culture finds symmetry so attractive, perhaps because we humans are basically symmetrical, with the axis of symmetry travelling from our head to our toes. An object has mirror symmetry if you can divide it into two matching pieces, like looking at a reflection in a mirror. We use the term “reflection” to describe the matching image. This is also call a “flip” in more colloquial language. An object has rotational symmetry if it can be rotated about a fixed point and parts match the new position exactly. For example, you can trace the outline of a shape on paper then rotate this shape around the centre point of the paper image. If this new position matches the original shape on the paper then this shape has rotational symmetry. It may match more than one time as it turns a full circle. Not all things have symmetry. It is important to talk about what is NOT symmetrical too,so that your students build a clearer image, remove any blockages. When I worked at The LEGO Centre in Drummoyne many years ago, we had over 70 000 children visit our LEGO play area. There we were able to observe that almost all the spontaneous LEGO constructions were symmetrical. Without anyone directing the children, they appeared to want their construction to be shape symmetrical, although colours did not always match. This collection of photographs enables you to discuss a wide variety of objects and images with a special focus on symmetry. Where is the line of symmetry? Is there more than one axis? Are real-life objects always exactly symmetrcal? Do we call something symmetrical even though not every single piece matches exactly? The National Gallery at Canberra has a magnificent installation by James Turrell, Within Without (Skyspace 2010). Visitors enter via a beautiful walkway across a water moat into a grassy square pyramid, with the top removed so that from inside you are open to the sky above. You next encounter a large inner cone which you enter. Inside this cone there are seats around the edge and this time there is a large central circle cut from the dome’s ceiling, revealing the open sky above. Just before sunrise and just before sunset a special lightshow reveals a magical world of colour. Your eyes watch the sky which slowly becomes a pure black circle, even though the sky when you go outside is still in its evening shades of grey and blue. A must-see event if you happen to be near the NGA at sunrise or sunset. It is open to the public and is a free event. Students of all ages love it. We met one local family where the children say to their parents on a lovely clear afternoon that it is Turrell Time and they head over to see it in its sunset glory once more. If you just heft two objects in your hands, like in this picture, it is easy enough to describe the objects as either lighter than, the same mass as or heavier than each other. But is becomes a more challenging task when you look at a diagram and need to read something important in it. For example, in the diagram below, you need to see that the object on the left pan balances the 5 objects on the right pan. That tells you something. That tells you that 5 tomatoes have the same mass as one bottle. Or it may even tell you that one tomato has the same mass as one fifth of the bottle. If you analyse what you see in the two diagrams below, this time you see that 5 small yellow balls are heavier than a large yellow cube. 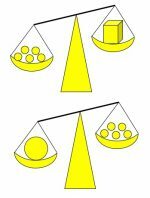 But the second diagram tells you that those same 5 small yellow balls are actually lighter than the large yellow sphere. Both diagrams need to be looked at to work out which object is the heaviest – the large cube? The large sphere? Or the 5 small balls? In a recent numeracy test, 70% of Year 3 students were correctly able to identify the least heavy mass from a sequence of diagrams. Yet last year, in 2016, only 67% of Year 5 students could correctly identify the heaviest mass from a similar diagram. After two more years of school. ARRGGGHHH! Does this mean the Year 3 students are dramatically improving their understandings? It’s so difficult to know how to respond to these results. The test diagrams show a set of balance pans with one only object in each pan. Some show the objects as equal in mass. 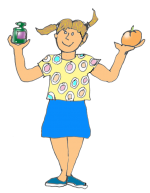 Some show the objects as lighter or heavier than each other. You need to use your mass logic to look at each diagram, understand which object is heavier and then transfer this realisation to the second or third diagram. In other words. You need to go beyond your first response, your first diagram. In this year’s test 11% of Year 3 incorrectly selected their first response. What they selected was correct if there was not a second diagram giving you new information. In other words it was their problem-solving skills that let them down. For these one in 10 students, they need to practice perseverence, rereading the question, making time for the problem to become real, making time for them to use their correct understandings of balance pan diagrams. They do NOT need to be taught how to read a balance pan. Their mass thinking is correct but they just didn’t carry it on far enough. In last year’s test 27% of Year 5 incorrectly selected their first response. Again, it was their problem-solving skills that let them down, not their ability to read meaning into a mass diagram. This is reinforced by the very small number of students who selected totally incorrect answers from the multiple choice. So 67 + 27 = 94. That’s potentially 94% of Year 5 students who could have been correct – a much more reasonable expectation for Year 5. So, as teachers, we need to think carefully about what test results actually reveal. We should place more emphasis on developing problem-solving skills than reteaching known mass concepts. 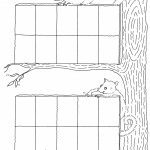 All students need time to solve a multi-step problem (of course not in a test situation …). They need to reread the question to see that they need to go further than their initial reaction. They need to use logic when they think about their answers. They need to develop pride in being an effective problem-solver. In 2016 a large cohort of Year 5 students had lots of trouble correctly identifying how long a length measure was when the cm tape measure didn’t start at 0. Only 42% of students surveyed answered correctly (5 cm). This year, in 2017, Year 3 students are overwhelmingly successful at correctly identifying a similar measure using informal units. Too many swings and roundabouts for me. When you analyse the incorrect responses, 46% of these Year 5 students selected the answer which was just one more than the correct answer (6 cm). In other words, they counted the 6 marks on the ruler, counting up from the first mark as 1 rather than 0. What on earth do they think length is about? The ruler measures off units of length and the marks in themselves are not the units. Perhaps too many Year 5 students have experienced pen and paper experiences? Or had too strong a focus on the ruler or tape measure marks rather than the actual length of a unit. So what do we discover when we analyse the Year 3 response to a similar question? This year’s question was open-ended rather than multiple choice. But in itself this doesn’t explain why so many more students were correct. In fact this year’s question was more difficult as it involved far more units (13 units and last year there were only 5 units). We don’t know how many students answered 14 units, but 81% of Year 3 students answered correctly anyway. This is a dramatic change in behaviour and understanding with the 2016 Year 5 cohort. I believe that there is a glaring explanation. This year’s question talks about measuring with blocks placed end-to-end. In other words, students are virtually told how to interpret the ruler in the diagram. They are told to see it as blocks in a line. So of course they don”t focus on counting up the marks (which would include the mark at the start to get 14). This explanation has major implications for how we discuss length units with all students. We need to continuously reinforce that length represents units like blocks. We need to talk about the misunderstanding that creates the blockage for the majority of older students. Length is not just a measure of marks on a ruler. When your feet are together at the start of a number line you have not moved. You are at 0. It is only when you jump a unit of length that you record 1. This concept needs reinforcing with all primary age students. A ruler is conveniently marked to show where these length units reach. Whenever we begin to measure though, we always start at 0. Even if the ruler shows an object starting at 27, that starting point should now represent 0 in a new counting sequence. If an object starts at 108 on a ruler, 108 should now be seen as 0 in a new counting sequence. Even if an object starts at 389 on a tape measure, 389 should now be seen as 0 in a new counting sequence. Let’s hope that we can make these length understandings part of all our student’s spatial visualisation skills. It is rare to think about being a mathematical tourist. When I travelled to Uzbekistan, for example, there is a spectacular monument in Khiva to the famous Al Khorezme. A must see for anyone even vaguely interested in mathematics. From his name we get our word “algorism” or “algorithm”. Have you been to New York? I haven’t … but people in the know say that you should visit this award-winning small museum, the National Museum of Mathematics. It is interactive and a great place for your children to explore. Puzzles, computer graphics and books on origami. It even has a special tricycle with square wheels. 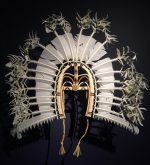 This museum is located at 11 East 26th Street in Manhattan and is open from 10:00 am to 5:00 pm, seven days a week, 364 days a year. It is only closed for Thanksgiving Day! 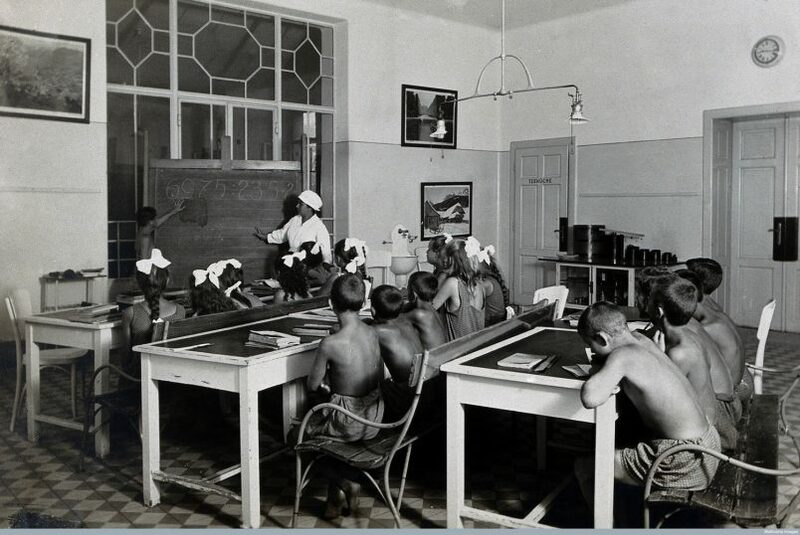 University Children’s Hospital, Vienna: children learning mathematics in the hospital school. Photograph, 1921. While researching the history of division recently, I came across this old photograph of a Hospital School in Vienna, 1921. If you look carefully you see the students attempting to calculate 6975 ÷ 235.2. Obviously about 100 years ago we did not have calculators available to students to help them work out their division. Notice also that there is no real-life link, just the algorism waiting to be solved. The students have pen and paper ready and they also seem to be listening to the student at the front who may be trying to explain to the rest of the class how he will work it out. My worry is that this sort of experience still happens today. We no longer need to calculate such an example using pen and paper as we have a calculator on our phone or computer that can do this for us. We also need a real-life context so that this calculation makes sense to our brain and is not just a meaningless number.You could ask your Stage 3 students to brainstorm for 1 minute with a partner as many different examples as they can. For example, there is a length of timber that is 6975 cm long and we need it cut into 235.2 cm lengths. How many lengths will you get? Or you have 6975 mL and you need to pack it into containers that each hold exactly 235.2 mL. How many containers will you need? But notice how this actual calculation is pretty obscure. It is not something you will come across every day. And we still need to estimate our answer so that we can check we pressed the correct buttons. For example, 6975 is reasonably close to 7000. And 235.5 is closer to 250 than 200, if we round to the nearest 50. There are 4 groups of 250 in 1000 so there will be 7 x 4 = 28 groups of 250 in 7000. So I would expect to get an answer round about 28. When I press 6975 ÷ 235.2 on my calculator it shows 29.6556122. I know this rounds up to 29.66 as a 2-place decimal or to 30 if I want no remainders. So my estimate was a useful check that my calculation was correct. Division estimates are a little tricky as you don’t need to round to the nearest 100, 1000 or 10 000 but to the nearest easy multiple. In this case 7000 was OK but if your calculation was 4530 ÷ 72 then an effective estimate would be 4200 ÷ 70 which you can then calculate mentally. 72 was rounded to the nearest 10, but then 4530 was rounded to an easy-to-think-about multiple of 7 and 42 is closer to 45 than 49 is to 45 so 4200 was a suitable number to round down to. I can then mentally calculate 4200 ÷ 70 to get 60. The calculator shows 62.9 so my estimate was in the right ball park. So, what do we want our students to learn? This is a difficult question to answer today as the world changes so rapidly. We are not sure what the world of our students will look like in 20 years time. But we are pretty sure that, in terms of number calculations, estimation is a vital skill and an understanding of what happens to numbers when you round up or down is a vital part of this skill. Once we go beyond our basic number facts and extended number facts, we no longer need to do the actual calculations ourselves. Those pages and pages of complex number calculations no longer have a central role in our primary classrooms. We want students who are confident problem solvers, who can work co-operatively and explain processes. We want students who can tackle relevant, real-life problems, who can persist and not give up easily. Is this the focus in your maths sessions? For primary students, Volume & Capacity is one of the most misunderstood substrands in Mathematics. As part of the Measurement strand, you might spend in total about 10 hours a year (say 2 hours per term) thinking about these issues. In 7 years of primary school, for a student that’s about 70 hours contact all up. In surveys I have conducted over the last 40 years, teachers freely admit that Volume & Capacity is often bottom of the list when they think about what and how to teach in mathematics. And as a mathematics consultant, one of the most common questions from individual teachers would be ” What’s the difference between volume and capacity?” so any blockages are not limited just to the students. In fact student blockages can be quite profound. 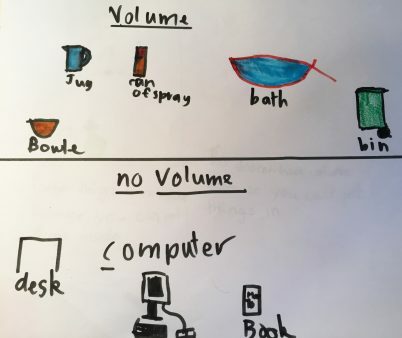 For a start the word volume is commonly linked to sound on a computer, TV or radio. 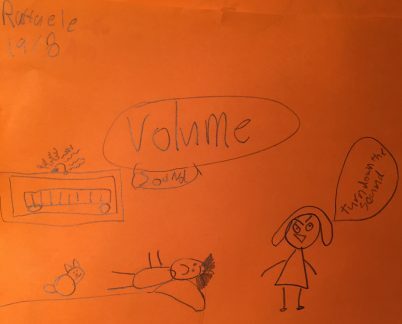 That sort of volume makes sense to students. 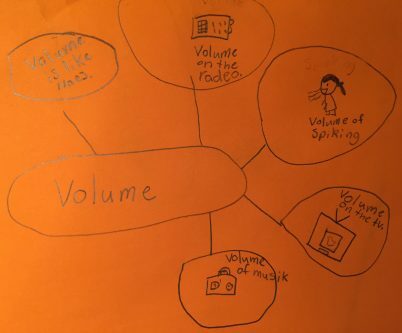 Here’s what some students write when asked to brainstorm what they already know about volume. Students also understand volume 1 and 2 in a book such as an encyclopedia. So we need to acknowledge this meaning of volume whenever we start a class discussion about it. 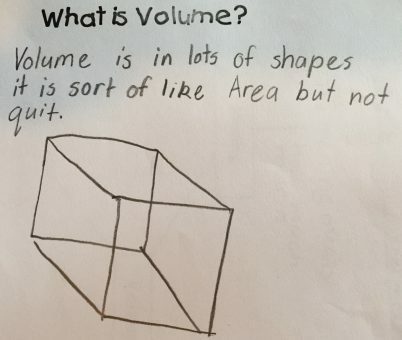 But what about volume as a mathematical concept in primary school? Students can go for years without experiencing sufficient volume activities and discussions that help them unravel their misunderstandings. My advice is always to create a block of time rather than ad hoc lessons here and there. If you can only spend 10 hours a year thinking about Volume & Capacity, then two 1-week programs (e.g. 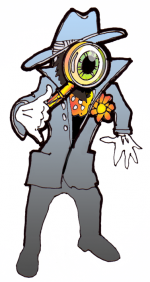 Term 1, Term 3) where you can tackle any misunderstandings head on will be the most effective. Start by asking your students to talk about and/or record what they know. 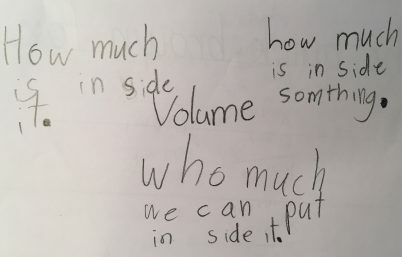 This student thinks volume is all about capacity. The bowl, jug, can of spray, bath and rubbish bin can all be filled with something. But the desk, computer and book are seen as objects that can’t hold anything else inside them. If you don’t know about this misunderstanding, it would be difficult to unblock this student. The second student agrees and even records their thinking with words. Notice how capacity is the dominant concept. There is no consideration that the ruler is made of wood that in itself has a volume. Previous experiences must have focussed on filling empty things up. 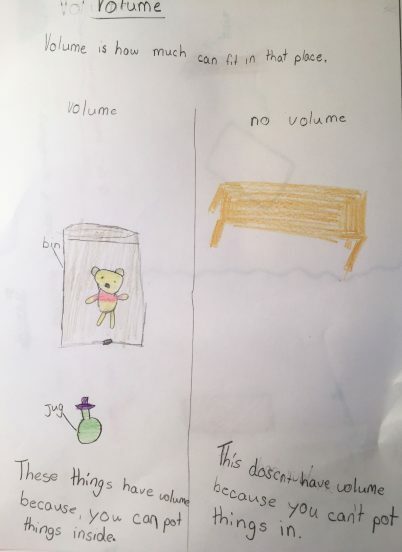 This third student tells us what many students think – if there is no capacity then there is no volume. So, thinking about the large red capsicum at the top of this article, does a capsicum have volume? 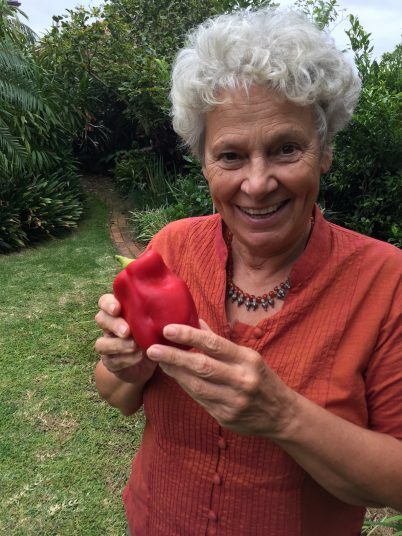 Many students of course will say DEFINITELY NOT as you don’t put anything in a capsicum, unless you are from a Greek family with a granny who cooks delicious stuffed capsicum of course! 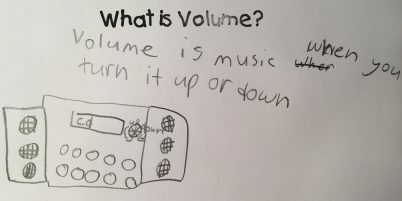 How can you define volume? Volume is a measurement of the amount of space an object or substance takes up. You and I take up a specific amount of space, so does every 3D object around us. Even our earth has volume as it takes up space within space. If you think of that red capsicum, it takes up the same space as say a grapefruit, even though they have different shapes. It takes up more space than an egg, less space than a watermelon. It doesn’t matter if it is hollow or solid. It doesn’t matter whether the outside skin is paper thin or really thick.The volume of the capsicum remains the same. It can be measured in units of volume such as cubes, for example. There are several other ways to measure a capsicum. 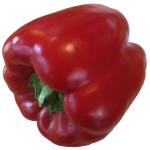 Mass would measure how heavy the capsicum feels and would be measured in units of mass such as grams. Surface area would tell you how much skin area there is in total and would be measured using units of area such as square centimetres. Length or height or width will tell you different length information measured in units of length such as cm or mm. Time would be a measurement of how long it took to grow from a tiny bud to this size. But, if you squash this capsicum flat, the volume will change. It will become smaller. It will take up less space. That’s because there is also a volume of empty space held inside the capsicum that would not be contained there if it was squashed. So there is actually a specific volume of capsicum flesh that is different to the volume of the capsicum as a whole. Measurement outcomes depend on what it is you want to find out. Do you want to know how much space this whole capsicum takes up, or what volume of flesh there is? If you are packing capsicums into a box, then the whole volume matters. If you are chopping capsicums up to make soup then just the volume of the flesh matters. Think of a balloon. You know that when it is not blown up it is just a small volume of rubbery substance. This might have the same volume as one cubic centimetre, for example. But if you add air and blow it up quite large and tie it off, the volume of the balloon changes. We now think of the volume as the space taken up by this inflated balloon, not just the small amount of rubbery substance on the outside. The volume of this balloon now includes the volume of the air inside it. So what is it you want to find out? Do you want to know how much space an inflated balloon takes up? For example, you may want to fit 20 inflated balloons in your car, to take to a surprise birthday party. Will they fit? But if you are a balloon manufacturer, you want to know how much volume is in the rubbery stuff that the balloon itself is made from. 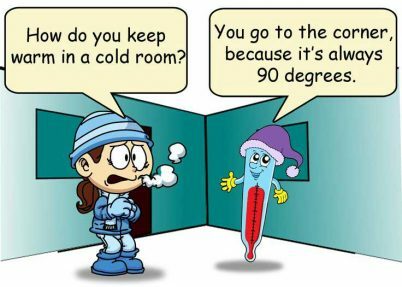 For example, if it takes 1 cubic centimetre of stuff to make one balloon, you will need 10 cubic centimetres to make 10 balloons and 100 cubic centimetres to make 100 balloons. The answer to “what’s the volume?” depends on which volume you have as your focus. To help your students understand volume better, you need to brainstorm lots of objects like this until they “get it”. 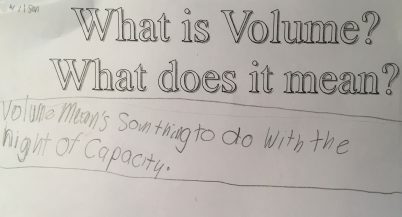 Volume is NOT the same as capacity. I will talk about that later. All 3D objects and substances have volume. 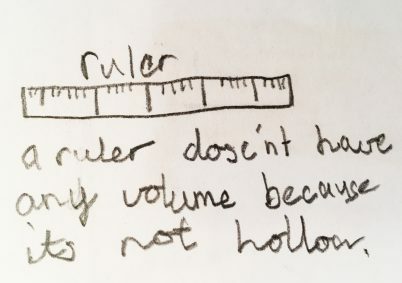 And the funny thing is that when the student says a piece of paper has no volume, they need to investigate this further. They need to unblock their thinking. A piece of paper looks like a 2D object but really it is an extremely flat 3D rectangular prism. But it still has height, width and breadth. And that paper 3D rectangular prism definitely has volume. If you are a paper manufacturer you know that you need to order large quantities of pulp and stuff before you can create your thin paper sheets. That stuff is the volume. It may be only a tiny fraction of a cubic centimetre for each sheet but if you scrunch up that one piece of paper you will notice that it creates a more obvious visible 3D object. Students associate volume with water. For example,we can estimate how many millilitres of water match the volume of our red capsicum and then place it in a tub of water. The amount of space the capsicum takes up will push that water somewhere else. If you place the capsicum into a completely full container, sitting in a larger empty bowl, you can measure the amount of water that overflows. This is the displacement. This displaced water can then be measured informally by marking where it comes up to in a container or formally using a container marked in millilitres. The volume of this displaced water matches the actual volume of the capsicum. You can check this measure against your estimate. The volume of this water looks nothing like the shape of the capsicum even though the volumes match. After repeating this guess and check process with different objects each time, your students will become experts at volume estimation. They will realise that objects with the same volume can differ greatly in their shape. Or instead of using water to help us measure volume, we can estimate how many one centimetre cubes will match a 3D object. We can build a model that matches the size and shape of the red capsicum. Once we think we have a match we can then count up how many cubic centimetres we needed. This will approximate the volume of the red capsicum too. And we can rearrange these same cubes to create any shape we want. All the shapes we create will have the same volume. Notice it doesn’t matter whether we measure with water or blocks. Both measures are measures of volume. Volume isn’t just about water or liquids. But now we need to ask “What is capacity?” and “How does this differ from Volume?”. To answer this we need to go back to our red capsicum. The way it is created (apart from the Greek granny stuffing it with rice …) it doesn’t usually contain anything else, other than air or hollow space inside it. It has a volume, but no capacity to hold another volume inside it. Now think about this cup. It is made from plastic. The manufacturer (probably in China) had to order in a whole bag of materials that were melted together perhaps in a mould to create this object. Let’s say the manufacturer uses about 25 cubic centimetres of plastic to make one cup. That means the volume of this cup is 25 cubic centimetres. But because it is a cup, this plastic object now has the capacity to hold the volume of something else inside it. This could be a volume of grapes, a volume of water, a volume of flour if you are making a cake and so on. 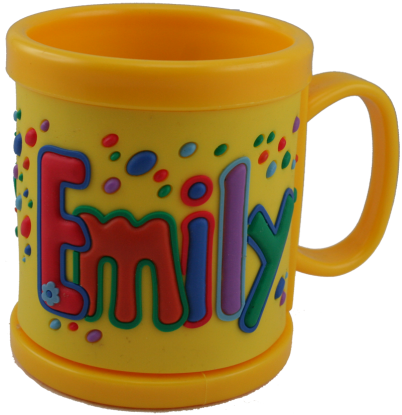 Even though the cup has a volume of 25 cubic centimetres of plastic, it might hold 250 millilitres of water inside it. In other words, there are now TWO volumes. And I think it is at this point that students get very confused. Again, we need to know what question we really want answered. Do we want to know the exact amount of plastic used to make this cup? Or are we more interested in how much it can hold of another volume? I think for most people, we want to know how much this cup can hold. What is its capacity? Only things with a shape that can fit other things inside them have capacity. A theatre has the capacity to hold say 1000 people inside for a concert. A bath has the capacity to hold so many litres of water. A box has the capacity to hold so many oranges packed in together to put on a truck to take from a farm to a shop. A supermarket shelf has the capacity to hold a specific number of cereal boxes. A human lung has the capacity to hold a specific amount of air inside it. A jar has the capacity to fit a specific amount of biscuits inside it. Capacity can be measured in many units, including units of water and blocks. Students seem to understand this idea. In fact it pervades all their thinking. Most students seem to clearly understand that capacity can relate to measuring with water. 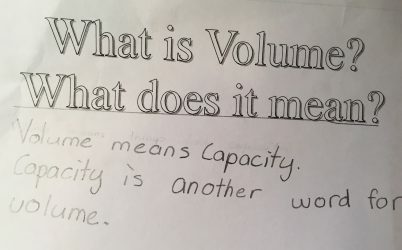 But not only do our students start to think of volume as capacity, they then start to get confused with other measurements too. This student must have had plenty of experiences measuring how far up a container some water came. They start to confuse this with height itself. It is true you measure the height of the water but only as an indicator of where the total volume reaches to in the container. The whole amount is the volume, not just the height. You need to focus on the whole volume. 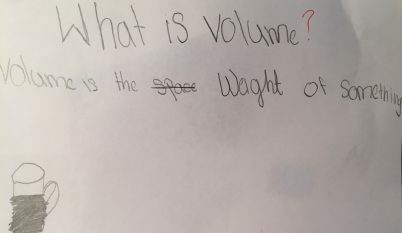 And this student confuses volume with mass, or how heavy an object feels. You need regular class discussions to fix this blockage. An object might look really large, such as a gigantic cardboard box that a fridge came in. But just because it is very large does not automatically mean this box will be heavy. Similarly a small metal object might feel really heavy, even though its volume is the same as a ping pong ball which is very light. Are you measuring how heavy something feels (Mass)? Or are you measuring how much space something takes up (Volume)? Sometimes volume and capacity is invisible. A room has the capacity to hold a specific number of invisible cubic metres, for example. We measure the volume of a room in cubic metres. We learn to estimate this space by imagining stacking invisible cubic metres in rows and columns one on top of another. After many experiments with making models from cubic centimetres, we can start to imagine these as invisible cubes instead of using real objects. This skill uses proportional reasoning to work it all out. Finally, misunderstandings occur when students are introduced to the formula for calculating the volume of a rectangular prism as L x W x H. As this is relatively easy to explain and model, it becomes the end action. Students then believe that volume only occurs when the criteria of length, width and height are measurable. They come to believe that if something is irregular in shape then it doesn’t have a volume. There is nothing wrong with thinking about the volume of a rectangular prism. but at the same time we need to discuss many other objects that are not rectangular prisms. A bean bag has volume, a cabbage has volume, a car has volume, an elephant has volume. The volumes are not easy to calculate using a formula in the primary school. But they can be estimated using invisible units and proportional thinking. Students need plenty of experiences estimating the volume of weird and irregular shaped objects. 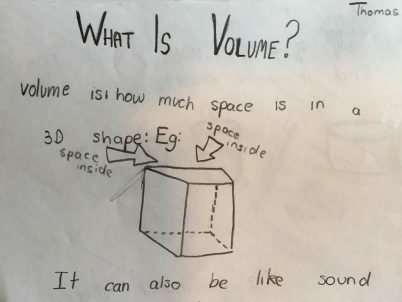 Notice that this Year 6 student clearly believes volume is about what is inside this shape. If this is a model of a room, this is true. If this is a model of a solid block then the whole object has a volume. It s not just about what is inside. This next Year 6 student has probably had experiences calculating the surface area of rectangular prisms. This is a totally different measure. Surface area only concerns the outer 2D surface of this shape, not the volume or amount of space this object takes up. All 3D objects have volume. Not all 3D objects have volumes that are easy to calculate. We need our students to be experienced imaginers, able to use proportional reasoning to divide up spaces into imaginary cubes. This process is certainly helped by talking about rectangular prisms. We can estimate how many cubes would fit along one side, then lay rows like this side by side to fill the base, then stack layers of these imaginary cubes to reach the top. The end result is that we have a measure of length, width and height. But our concentration when thinking about volume should always be on seeing stacked 3D cubes, not 2D lengths. Enough for now, I need a nice cup of coffee and a walk around the garden. Perhaps my red capsicums are ready to pick! What an amazing amount of mathematics you can discover in a tennis match. 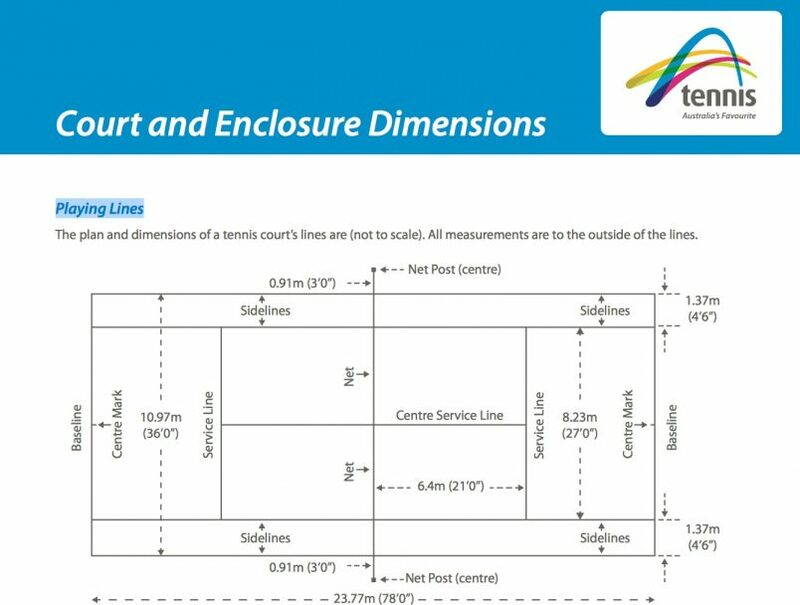 For a start there are the dimensions of the court. All measurements are calculated to the outside edge so there can be no disputes about which balls are in or out. Tennis courts were obviously created a long time before metric measurements were used as the measurements are all unusual numbers and not neat Base 10 multiples of 5 or 10. Then there are all the mathematical results and statistics. For example, you can check our Roger Federer’s career here. Roger has won 18 Grand Slam titles and a total of 89 competitions. Roger has also won the most matches – 314 matches to date. Check out 100s more fascinating statistics yourself. What an astounding career. Then there are all the mathematical adjectives you can research. e.g. the longest match ever played? 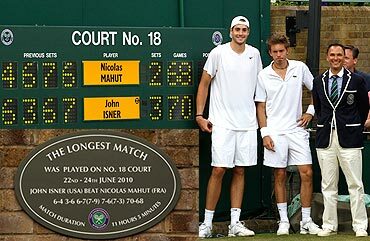 See Nicolas Mahut v John Isner at the 2010 Wimbledon Championships(11 hours and 5 minutes over 3 days …). e.g. the longest rally? See Vicky Nelson v Jean Hepner at Richmond VA in 1984 – it was 643 shots. e.g. the fastest serve? Roger Federer’s maximum speed is 230 km/h. 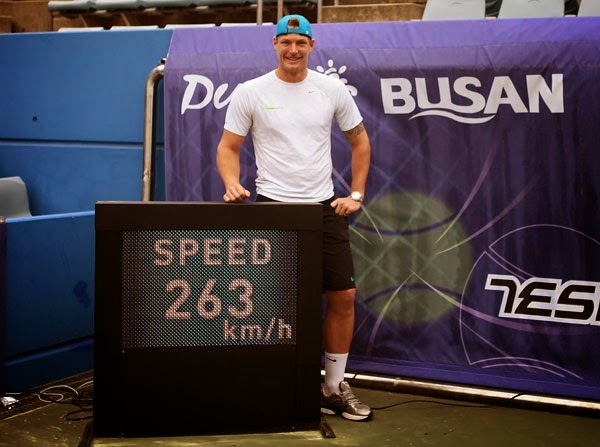 See the Australian player Sam Groth in the 2012 Busan Open Challenge, Korea. Sam’s registered speed was 263.5 km/h. There is so much to explore with your students. Comparing and ordering decimal numbers, thinking about what numbers mean in a real life context. The latest OECD PISA results from 2015 were released last night (Tuesday 6 December 2016). PISA stands for Program for International Student Assessment. Data is collected from 72 countries and about 540 000 students are tested. The maths questions test 15 year old students’ ability to apply their maths facts to realistic problems. Another disaster for Australia. Our students’ performance has declined over the last 15 years. Only 55% of 15 year olds achieved the National Proficient standard in maths. In the Financial Review this morning, Dr Jennifer Buckingham writes: “These findings suggest Australia’s fixation with discovery or inquiry-based learning approaches to improve achievement with maths and science by developing student “engagement” – often at the expense of learning facts and concepts – is misguided and detrimental. Confidence in these domains is the result of competence, not the reverse”. She continues: “This sounds bad because it is. The deterioration in Australia’s performance is because we now have more low-performing students and fewer high-performing students. Students in the low-performing group have achievement levels “too low to enable them to participate effectively and productively in life”. In my working life I have seen maths performance falling year by year in these tests. Something is not working in the way we teach mathematics. I am disappointed that researchers will now blame “inquiry-based learning” when problem-solving is the complete and utter goal of mathematics teaching and learning. Facts without a context mean nothing. We need sound basic facts taught and we need facts to be applied in realistic problems. It is not an either or situation. Test data is only one aspect of life as a student learning mathematics. It is only one aspect of a teacher teaching mathematics. But these test results do tell us something and we should not ignore it. What is it we can do better to help our students understand, apply and enjoy their mathematics? How can we as Primary Teachers help students perform better in the future? Singapore topped all 3 subjects, with a score of 564 in maths. The top 5 places were all Asian countries. The OECD average maths score was 490. But even Singapore now agrees that it puts too much pressure on its students. We don’t want to copy Singapore teaching techniques just so we can improve test scores. We want to improve student understanding, application and enjoyment all round. To work out solutions to real life maths problems you need a detailed set of known maths facts built into your primary school brain. We need to develop automatic recall in more students. Waiting for a calculator or google to tell you how to solve a problem is not the answer. We need a wide range of problem solving strategies at our finger tips. These strategies are all well-known and should be part of any maths lesson. We need to visualise a problem, draw a table or graph, guess and check, break a problem into smaller parts, work backwards, look for a pattern or eliminate any excess information. We need a wide range of problem solving personal strategies too. Strategies like seeing each problem as a challenge, avoiding distractions, being patient, persevering and not expecting an instant answer, having a back up plan, asking a friend to help or enjoying exploring something new. The latest TIMSS results were released by ACER late on Tuesday evening. They do not present a pretty story for Australia. TIMSS stands for Trends in International Mathematics and Science. The tests were given in Australia in 2014 to Year 4 and Year 8 students. More than 60 countries participate in this test with 630 000 students. In Australia more than 16 000 students were tested from 572 schools. There was no real improvement in the performance of Australian students. We were 22nd in Y4 Mathematics. 30% of our Y4 students did not achieve the TIMSS Intermediate international benchmark. Only 9% of our Y4 students achieved the Advanced international benchmark. For the first time in 20 years our Y4 boys scored higher than our Y4 girls. NSW, Qld, SA, WA and Tas students all achieved a higher score than in 1995. There has been little change in the gap between indigenous and non-indigenous students. Stdents in metropolitan areas scored higher than students in country areas. Country area students achieved higher than students in remote areas. We were 13th in Year 8 Mathematics. 36% of our Y8 students did not achieve the TIMSS Intermediate international benchmark. Only 7% of our Y8 students achieved the Advanced international benchmark. There was no significant difference between the scores of boys and girls. So how do these results compare with some of the other participating countries? Hungary, the Czech Republic, Sweden, Kazakhstan, England, Portugal, Cyprus and Slovenia all improved their Year 4 results in 2015. 50% of Singapore’s Y4 students achieved the Advanced international benchmark. England, the USA, Slovenia, the Russian Federation, Ireland, Kazakhstan and Sweden all improved their results. Only 6% of Singapore’s Y8 students did not achieve the TIMSS Intermediate international benchmark. 54% of Singapore’s Y8 students achieved the Advanced international benchmark. 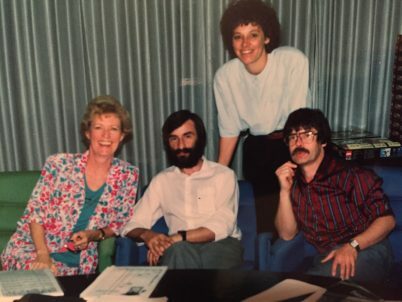 Many moons ago Bev Dunbar worked with LEGO Dacta, the educational division of LEGO Austtralia, creating the world’s first LEGO Classroom outside of Denmark, at Birkenhead Point in Sydney. Over the years from 1985 – 1989 about 75 000 school students visited our popular classroom excursion program. A team of 8 teachers, mostly part-time, led the classes with a half hour workshop on a theme selected by their teachers, 30 minutes with a guided tour of the large LEGO exhibition area then 30 minutes in the giant DUPLO and LEGO play area. 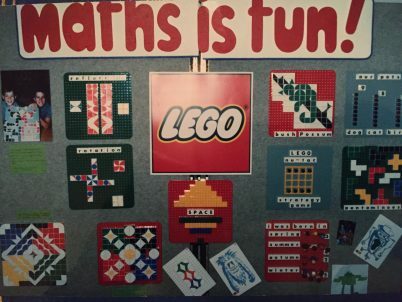 Bev Dunbar also created the LEGO Maths Pack, which was sold all over Australia. These resources and detailed activity suggestions enabled teachers to use LEGO maths resources with up to a whole class. LEGO Mosaics was a particular favourite with students of all ages. The LEGO motto, “only the best is good enough for our children” coloured everything we organised. The LEGO Maths Pack, LEGO Technic and Dinosaurs were some of the most popular class themes. We also discovered some fascinating statistics. As so many children created LEGO models we were able to observe that 1 in 10 000 built with their LEGO bricks facing studs sideways, not studs up. And one in 20 000 children built studs down! A rarity. 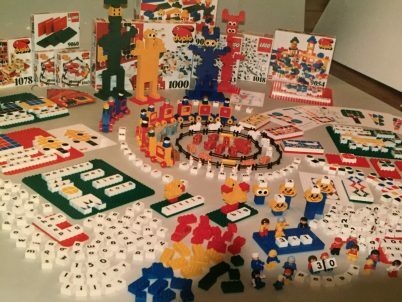 Bev’s passion for creating maths resources for LEGO led eventually to her creation of this website, Maths Matters Resources, so she is now able to share her activities with teachers and children all over the world. 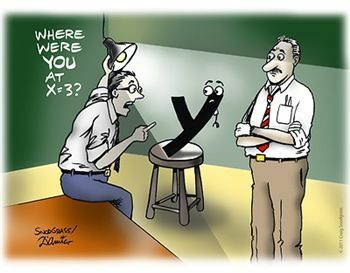 I know that not everyone finds mathematics as fascinating as I do but you have to admit that there are plenty of funny maths jokes out there in the universe. Your students might enjoy collecting their favourites and publishing these on the school website. 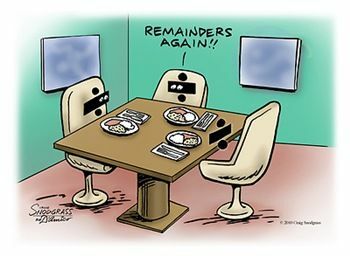 Here is a clever one I spotted online recently. Imagine all the mathematical discussions about fractions you could have with your Stage 3 students! 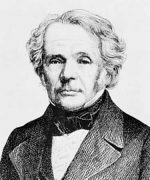 One of my all time favourite mathematical creators is the German mathematician and astronomer August Ferdinand Mobius. He was born on 17 November and died on 26 September 1868. He is world famous now for discovering the Mobius strip, a surface with only one side or boundary. It was also discovered independently by Johann Benedict Listing about the same time in 1858. All you need to do is cut a strip of paper, twist this once then glue the ends together. What happens if you then cut this twisted strip into two with a pair of scissore, cutting along the middle, parallel to the “sides”? Imagine using Spatial Visualisation first before you actually try it. What happens if you put two twists into your strip before you glue the ends together? Can you predict what the result will be when you use your scissors to cut along the middle of this twisted strip? 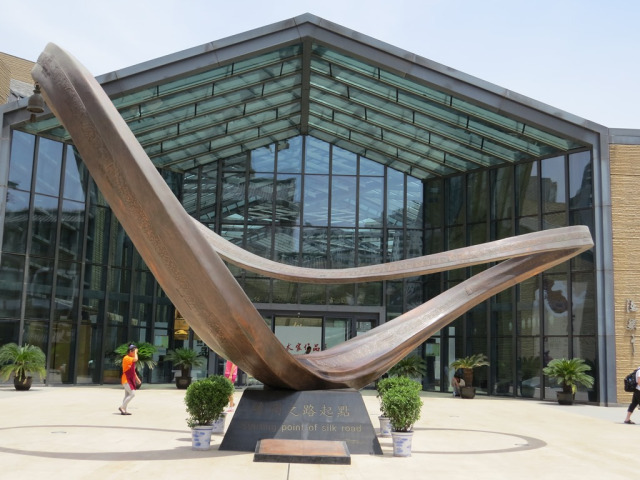 There are many Mobius Strip sculptures all over the world. We humans are intrigued by all things magical. 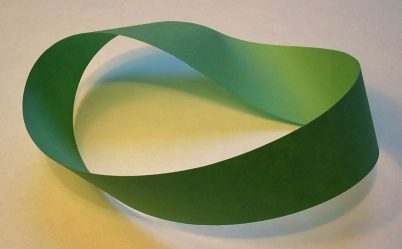 For example, the Mobius Strip is used as a symbol of the never ending journey of goods traded from China to Venice along the Grand Silk Road. Here it is at the start of the Silk Road, at Tang West Markets in Xian. How incredible that this objects appears to have two surfaces and two sides yet when you trace your finger along one side you quickly discover that you are back to where you started. And the same with what looks like two surfaces. Trace your finger along teh top surface and you end up at the starting point but on the underneath surface!. If you enjoy exploring MC Escher’s art then this is a wonderful documentary to show Stage 3 and 4 students. Images of infinity that impress scientists, tesselating tiles that never repeat. Lots of inspiration for inking mathematics and art. NAPLAN tests are with us whether we like them or not (I don’t). And every year teachers in Year 3 and Year 5 spend too much of their valuable maths session time preparing for the test items in Terms 1 and 2. The pressure is huge. Both teachers and parents want their students to demonstrate that they are progressing well on their learning trajectory. And every year we get the results quite late and feel good or bad depending on whether our class scored above or below the rest of the state. We have been analysing the NAPLAN Numeracy results for primary students in NSW over the last 10 years and find the proportion of questions always includes too many items that test the stage above and too few questions that test the stage below. We argue that to be a valuable data source the proportion of items should be more from the stage below. As a nation, have the students entering Stage 2 achieved the appropriate standard for Stage 1? As a nation, have the students entering Stage 3 achieved the appropriate standard for Stage 2? The answers to these two questions really matter. Over the last 20 years Australian students have not demonstrated a high enough level of achievement on international tests. Too few secondary students are selecting mathematics and too few students entering tertiary education have the required mathematical skills. Primary schools are the first port of call for all students of mathematics. Are we teaching mathematics as well as we can? Do our maths sessions provide our students with the best environment in which they can learn Mathematics? In 2016, the NAPLAN numeracy tests will match the proportion of items in the test from each sub-strand with the sub-stand content in the Australian Curriculum: Mathematics. How will the test creators determine this proportion? e.g. there are 2 substrands for Geometry (Shape/Location & Transformation and even a third, Geometric Reasoning, from Grade 3 onwards) and 2 substrands for Statistics & Probability (Chance/Data Representation & Interpretation). Does this mean the each get an identical number of items? And does that mean that one content descriptor is equivalent in value to another? In Grade 4, for example, one Measurement content descriptor says “Use scaled instruments to measure and compare lengths, masses, capacities and temperatures (ACMMG084)”. Yet this covers 4 separate substrands in Measurement, all of which use separate instruments of measurement. Another issue is how do you write a pen and paper test item for something as practical as measuring a real-life object? The Grade 4 content descriptor for Chance, “Describe possible everyday events and order their chances of occurring (ACMSP092)”, requires just one train of thought and more easily transfers to a multiple choice test item. The next problem is whether each test item is meant for most students, say a core item, or is it to test achievement at a deeper level that perhaps only low block students can succeed in answering? For example, the 2012 Grade 3 NAPLAN test items for numeracy included only 9 items out of 35 that matched core Stage 1 (Stage Below) content descriptors. If we were successful, we’d expect about 80% of our students to successfully demonstrate their understanding of a core Stage Below question. We think it is more important to know if your students demonstrated achievement at core Stage Below questions than non-core questions. Another way to look at this is to say that in Grade 3 2012, only 26% of NAPLAN Numeracy questions enabled your students to demonstrate achievement of core Stage 1 maths. So 74% of questions were potentially too difficult for most students. What’s the point of knowing this? The Year 5 paper in 2012 included 25 items out of 40 that tested core Stage 1 or Stage 2 content descriptors, still not ideal but much more effective than the Grade 3 paper. This dilemma also transfers to programming. How do you know as a teacher what proportion of your time to plan for each substrand in Mathematics? Here at Maths Matters Resources we have very strong feelings about this dilemma and give specific advice for how to solve it. Basically about half your time should be planned for Number & Algebra, and half for Measurement & Geometry and Probability. The content for the second half is not insignificant. Number & Algebra should not take up the majority of your time as a teacher. It is not more important than that second half. And Statistics (Data) covers all substrands in Mathematics and potentially could be part of any maths session. We include sample term overviews in The Maths Session – Programming. 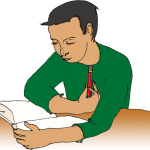 In the same section, we also include a document called Reflecting on your Term Overviews. And of course just because you decide to focus on Multiplication in Grade 3 doesn’t mean everything is planned for the Grade 3 content descriptor. Some of your students may still be at Grade 2 or Grade 4 levels and above in their progress along the learning trajectory. We will be fascinated to see the structure for this year’s Numeracy test items for Grades 3 and 5. Our hope is that about half the test items will relate to Number & Algebra and that some of these include Data items. And our hope is also that a large proportion of questions relate to core Stage Below content. Our hope is also that we get a fast turn-around on feedback from the NAPLAN papers to help teachers adjust their programs to match specific student needs.